Fantastic hotel building. Do you have its original completion date? And has it been renovated/changed since? 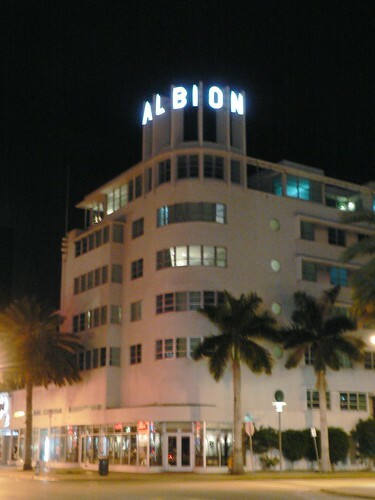 Hels, according to the Miami Design preservation League's Miami Beach Architectural Guide, the Albion was built in 1939 and was designed by Igor Polevitsky. It doesn;t indicate if it has been altered since then.